After I gave up on applying for the premium condo-style flats in Tampines (The Premiere), which I had reported a few entries ago, hopes of landing a home arose again when HDB opened up walk-in selection flats in Sengkang, Buangkok & Hougang last month. I’ve had my eyes cast on the flats by the Buangkok MRT Station for quite some time now. Besides the MRT station, which would ease people coming to my place, the soon-to-be-built mosque will also be about 5-minutes walk away. Alas when I came at about 3:30pm on the 1st day of the application, I was appalled to find that my balloting queue number was above 1600. With only about 1100 units available, it was highly unlikely I would be able to get the unit of my choice on a higher floor (at least 10 above). Coupled with the fact that my turn to choose my choice unit was on the 8th day, it was a case of no point queueing up but I still did, holding on to a glimmer of hope. But it was not to be. Before that, when HDB introduced the Sri Geylang Serai area to be developed, my in-laws had suggested moving in. But I was against it, for the fact that the traffic is extremely bad. Not to mention the hygiene of the place. Granted it’s gonna be new but when the festive period comes, you’ll agree what I mean. Anyway, I feel uncomfortable living in a Malay enclave. Social factors aside, I guess it is a nice place to live in, what with the kampung spirit revived. But I actually like the idea of staying with other races around me as it promotes harmony and tolerance on a different scale. Ideas could be exchanged and we can learn a lot of things from them. As the saying goes, “A little bit of something is sweet but when there’s too much of it, it could bring harm eventually…” That’s how I see it, not that I have something against my race. I’m still a proud Malay. I guess that is why our Government set a race quota when applying for flats as they want us all to integrate and not become too homogeneous. Even when HDB introduced a built-to-order scheme just across the road from my in-laws, I was not keen on it as I felt there was no point shifting. To me, it felt as good as not shifting at all. I’m kinda chilled about applying for a home now, knowing I still have my old apartment (which has turned into a warehouse) if things get too complicated or difficult to apply a dream place. I won’t even mind staying at my parents’ place, just that the three flights up the stairs is a nightmare to get to my room, especially now that the little one has arrived. It’s gonna be tiring chasing after her all around the house, since kids are almost always fascinated with the stairs. I don’t mind the exercise though. 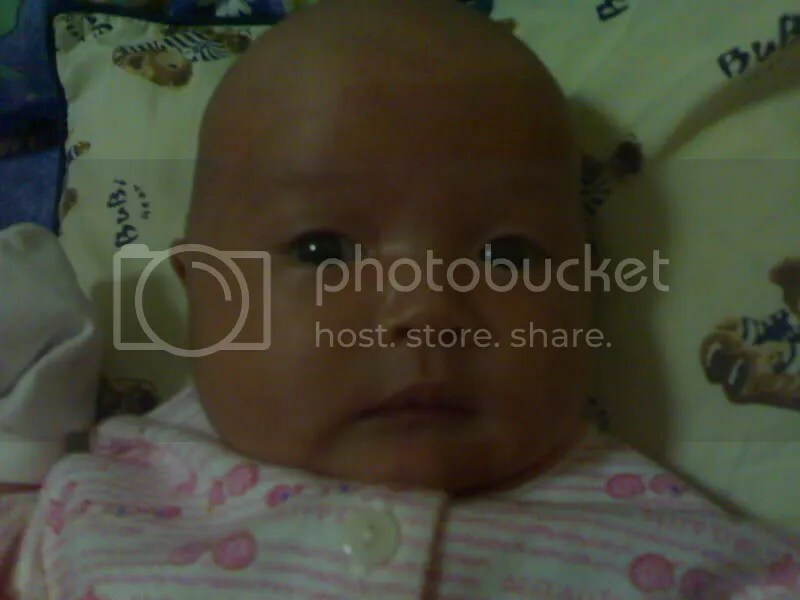 It’s 3 weeks now since she was born. Alhamdulillah she hasn’t “troubled” us one bit, have not gotten sick or anything that would be of concern to new parents like us. I pray that long may it continue. The only times she cries are during feeding time or when she wants her diapers changed. 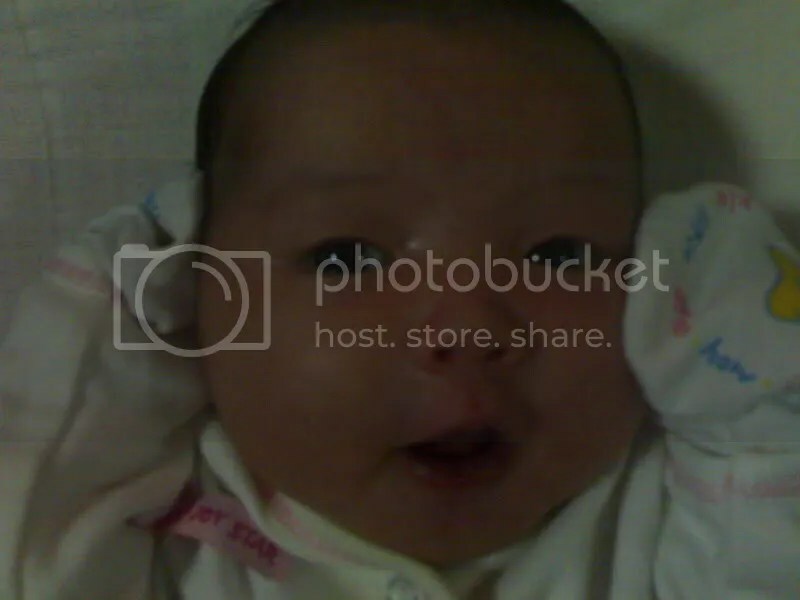 She’s such a clean, proper and hygienic baby that even when she poos a bit, she wants us to clean her up right away. She’s not even afraid of water whenever we bathe her. The only downside is that she hates to breastfeed. Maybe it’s because she only started to breastfeed when she was 3 days old as Aida was too weak then to do so and my daughter had to feed through the bottle. Other than that, she’s been perfect. Nothing pleases me more than having a baby of my own, to see her grow up to be a fine young lady who, God willing, will be a great contribution to society and religion. You know, sometimes when I look at her, I feel sad. Sad that life is indeed short, sad that soon she’ll get married and have kids of her own, sad that with her growing up, it means that we get older and Death is getting nearer and nearer. Which is why I guess I’ve been mellowing a lot after marriage. I’ve not been so cynical with my comments on radio and through this blog. It’s quite unheard of if you have been a regular RIA 89.7FM listener used to hearing my lambasting comments or regular reader of my blog. Marriage and now parenthood have thought me to be more patient, more forgiving and more tolerant of those around me. Not that I’ve gone through a complete transformation. At times, I still live, say or do things on the edge but knowing my style, I’ll always do it with common sense and rationale. A lot of people have asked us to invite them in case we hold a Tahnik (Shave-the-baby’s-head) ceremony or expect us to have one when I first announced her arrival to the world. I understand that some of us are used to that tradition already. But I’m not actually keen on the idea of inviting people and getting gifts or cash in return, not to mention the preparations and cleaning up afterwards. To top it off, there is also the issue of not being able to entertain everyone at the same time. I’m actually very embarrassed at the idea of receiving stuff from people even if they are genuinely sincere. I think I got this trait from my mum who refused to hold a get-together for friends and family members before she departed for Hajj 3 Sundays ago as she felt too embarrassed to receive any gifts or donations from well-wishers. Lest I forget I would like to thank family members, colleagues and friends who have taken the trouble and time to visit us, be it at the hospital, or at home, with gifts and cash in tow. Plus the numerous well-wishes on air from my fellow RIA listeners on the day my daughter was born. Gotta thank my best buddy Nizam, his wife Iannie and his parents for the beautiful stroller, my colleagues for the hefty NTUC vouchers and everyone else who had given us gifts like baby clothes, bottles, flowers, milk formulas and everything else. We really really appreciate them a lot. Thank you from the bottom of our hearts!!! My family received another good news on 9th December 2006. My favourite cousin Ezaad (those of you who attended my wedding would remember he was my best man, and his wife Julie was the bridesmaid) joined me in the parenthood club, when his wife gave birth to a bouncing baby boy Mohd Eshaan. It was a belated 1st wedding anniversary for them but I guess it was well worth it. 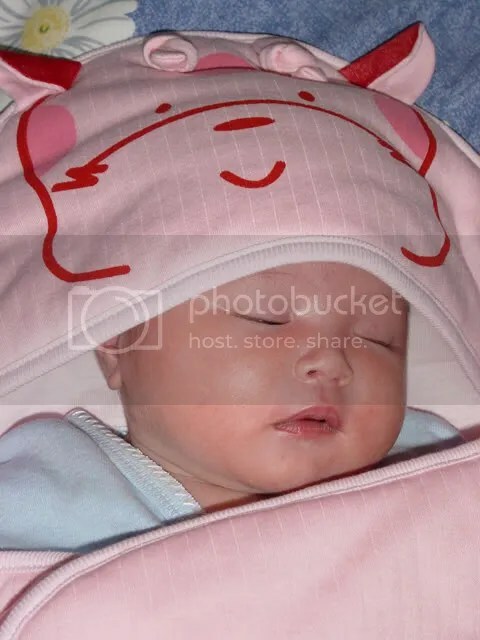 I had actually suggested Julie to induce herself on the 1st of December so the boy would share the same birthday as his cousin Syahindah Adawiyah but she did not want, preferring to give birth on the 12th instead. The boy obviously had other ideas so he came out 3 days earlier than scheduled. Good for Julie that she was blessed to go through a smooth and normal delivery as compared to Aida. The family is currently buzzing with the arrival of the two new-borns. Celebrating Hari Raya next year could not be more special for us all. I’m just waiting for Aida to recover before we can go visit them. Also in store is visiting another one of my best buds, Latif and wife Nora who I had reported earlier giving birth on the same day as Aida to their second daughter Badriyyah and one of my good friends (ironically sharing the same name but with different spelling) Latiff and wife Ridana who gave birth to Md Ammar Dhani on 27th November 2006. 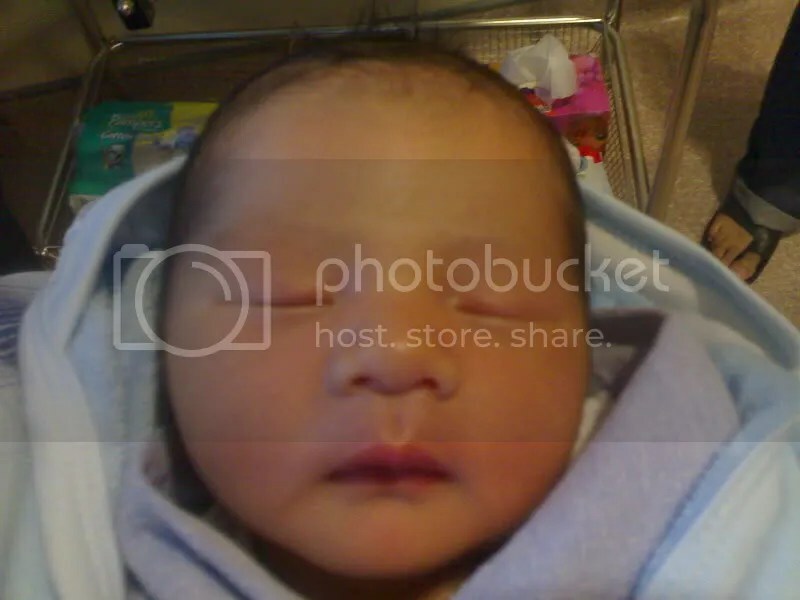 Welcome to the world Eshaan…!!! On another happy note, I am pleased that Imran Ajmain‘s album entitled “Dengan Secara Kebetulan” is finally out in stores. The guy had to go through 3 postponements before his album was finally released on 19th December 2006. I can understand the frustrations at having to postpone, heck even as one of his ardent supporters, it was nerve-wrecking having to wait so long. Thought of going down to buy his album but I’ve been extremely busy with work and the babe, that going down to the music store was not feasible. I’ll try to get it as soon as possible but if by next Saturday I can’t, then I’ll most definitely attend his showcase at the National Arts Museum in conjunction with the album launch. It’s been raining and raining of late. I can’t wash my car as it is useless to do so. It was just last Sunday I tried to wash it at my parents’ place. When I was halfway through wiping the car, the heavens opened its floodgates and I was left rueing the fact that my efforts were wasted. So now I’m just gonna spray it with water and wipe it dry in case it gets too dirty. No point shampooing it. I wasn’t feeling too well on that saturday when u came 2 my in-law’s place; and actually, i had wante dto congratulate u personally for being a dad! 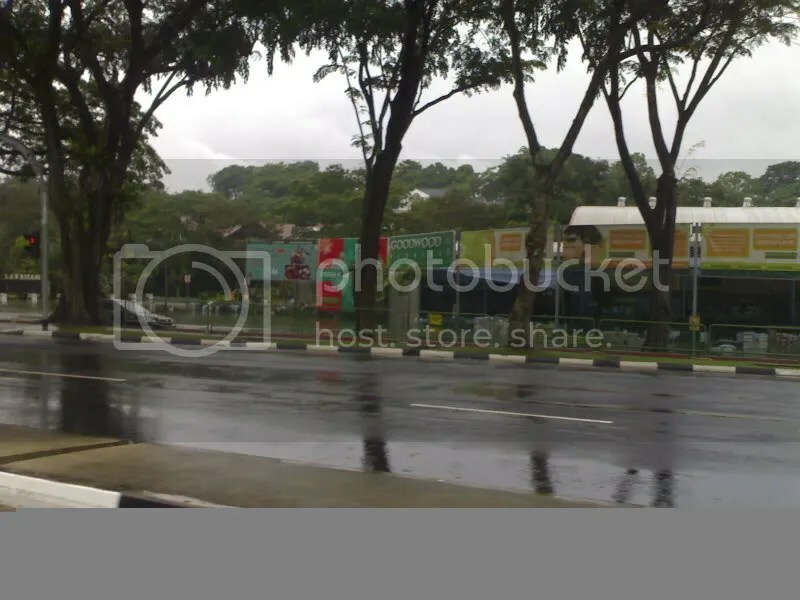 To think that I remembered on my way to NTUC..and when i came back to the void deck, u’ve already gone! Hopefully sis aida recover soon.